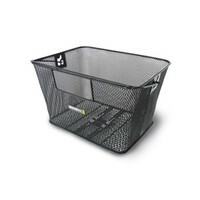 The Basil Capri Bike Basket is a convenient choice for those looking for something versatile and easily detachable. 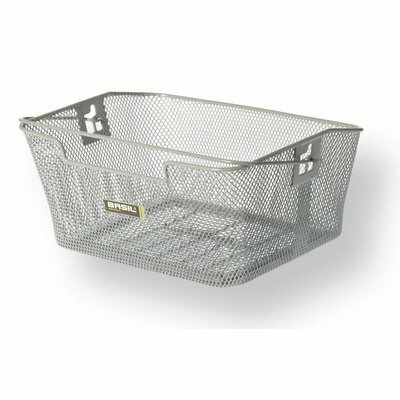 The Basil Capri is a modern choice of basket and boasts a unisex design. The Basil Capri is designed for mounting to the back of your bike at the luggage carrier, with a construction of fine-grained steel for easy attachment to your bike. In classic silver, this trendy basket will look equally good on men and women’s bike, this bike basket will come in handy time and again. There’s plenty of space to store office essentials and items for the gym, while the generous capacity means it’s ideal for trips to the store when you’re loading up on groceries. 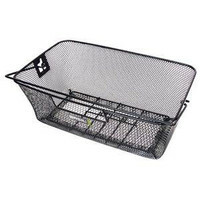 The top of this basket is beveled to allow for easy attachment with a spring clip, while the reinforced base handles heavier loads with ease. Interested in other eye-catching baskets from Basil? Browse the complete range online to find the perfect fit for your frame. You’ll also find a complete selection of bicycle accessories to transform your wheels into something truly special. 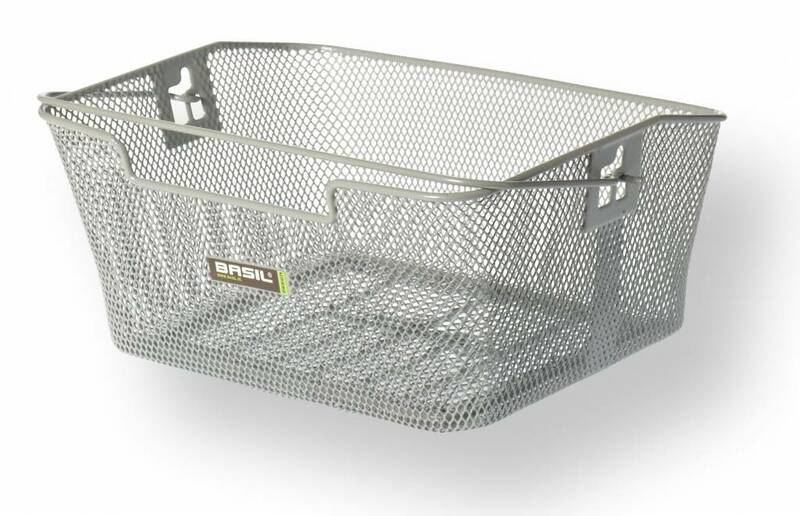 Basil Capri basket makes everyday errands easy. Easily removable with a practical handle. Special recess and spring clip provided.